As one of worlds’ greatest manufacturers and suppliers of oil mill plant. KMEC engaged in designing, installing and exporting a range of oil mill plants since 1990. Our oil mill plants are designed highly efficient and we also support customized services according to the specific requirements of our clients. We are an ISO 9001 approved, CE certified company, we cooperate on the basis of equality and mutual benefit with partners from abroad. So far, we have exported numerous complete oil plants like oil mill plant, oil extraction plant, oil pressing plant both at home and abroad. Below are some of the oil mill plant projects we've already set up. 80T/D Rapeseed Primary Pressing Line in Huangzhong County. 100T/D Sunflower kernels Oil Processing Line in Neimeng Province. 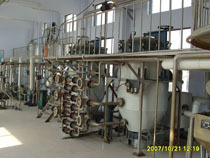 200T/D Aroma Peanut Oil Processing Line in Shandong Province. 200T/D Cottonseed Pretreatment,100T/D Extraction,50T/D Oil refining Complete Line in Hunan Province. 300T/D Peanut Oil Processing Line in Shandong Provinc. 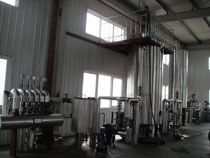 300T/D Rapeseed Oil,180T/D Soyabean,200T/D Extraction Line in Xiaogan City. 450T/D Cottonseed,300T/D Rapeseed Primary pressing & Extraction Line in Xinjiang Province. 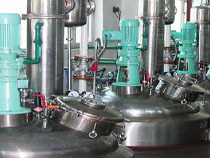 500T/D Rapeseed Oil Processing Line in Hunan Province. 5T/D soybean oil refining workshop in Zambia. 10T/D peanut oil pressing plant in Cambodia. 10T/D peanut&soya pressing oil mill plant in Zambia. 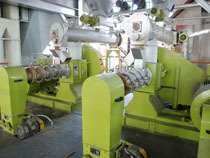 20T/D fuel oil processing line in South Africa. 30T/D soya extruding and pressing plant in Argentina. 50T/D soya oil refining in Peru. 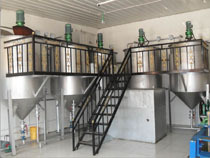 50T/D oil filling&bottle blowing machines line in Zambia. 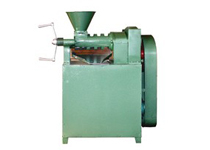 50T/D cotton seed oil pressing plant in India. 50T/D soyabean pressing & refining complete oil mill plant in Brazil..
80TPD delintted cottonseed; sunflower seed pretreatment, primary pressing & refining line in Kazakstan. 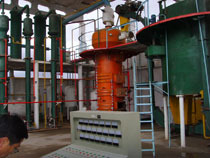 90T/D fish oil refining in Uzbekistan. 100T/D oil extraction plant in Zambia. 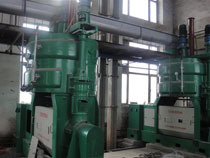 100T/D soyabean pressing; refining line in Russia. 100T/D soyabean pressing; refining complete oil mill plant in Australia. 100T/D cottonseed; sesame seed pressing & 20TPD refining processing line in Nigeria. 100T/D peanut, soyabean, cottonseed pressing & refining complete oil mill plant in Nigeria. 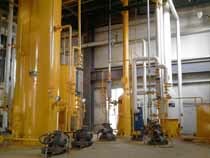 150T/D oil refining plant in Australia. 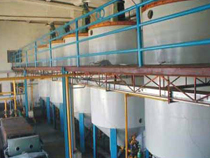 160TPD delintted Cottonseed pretreatment, primary pressing, extraction & refining line in Kazakstan. 2500T maize storage silo was sucessfully completed in Zambia. Note: We accept enquiries in English, Español (Spanish), Русский язык (Russian), Français (French) and العربية (Arabic). Our professional team will reply to you within one business day. 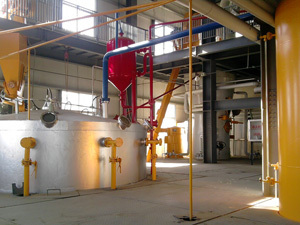 Please feel free to contact us to get more info about our complete oil mill plant!